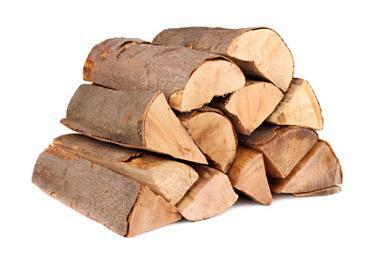 If you’re living in London and looking for firewood then The Firewood Shop can deliver the logs you need straight to your doorstep. We offer a quick and efficient London firewood delivery service, ensuring that you have premium quality wood exactly when you need it. Our London log delivery can be arranged for the next day, and is available across the whole of the Greater London area, meaning that if your log supply is running low then we can ensure that you have the firewood you need as quickly as possible. Our kiln dried logs are the best standard of firewood available on the market, and because The Firewood Shop is a family run business, you can be sure that we have a real passion for the quality of the wood we produce. The satisfaction of our London based customers is our biggest concern and we pride ourselves on the high standard of the service that we offer. There is nothing nicer than a wood burning stove, both in the home or in a hotel or restaurant. They look beautiful, they give a warm and cosy feel, and they create heat in an efficient and cost effective way. If you need a firewood delivery in London to ensure that your wood burning stove keeps burning then simply get in touch today. All the above reasons are good ones to heat your home by burning firewood, but there's one more that, for some people, trumps all the rest: the cosy, comfortable look and feel of a fire. Crisp Surrey kiln dried logs burning merrily in the hearth are absolutely the perfect way to make a grey winter's day more cheerful. There's something magical about a fire that other heating methods just can't touch. There are definitely some great advantages to using wood to supply heat; if you're thinking about switching to firewood burning, give us a call talk about your requirements for firewood in London, Surrey, and Sussex.